BOSTON, February 17, 2009 – Technomad LLC, a leader in weatherproof loudspeakers and audio systems since 1995, announces that AVX Northwest, an AV equipment dealer, consultant and installer based in Centralia, Washington, has completed two Technomad Turnkey PA school installations in the Pacific Northwest.The Technomad installations, at Saint Martin’s University of Lacey, Washington and Kalama High School of Kamala, Washington, provide substantial athletic sound system upgrades on the campuses indoors as well as outdoors. Technomad Turnkey PA Systems typically include between two and four Technomad weatherproof loudspeakers, a 6RU signal processing rack featuring an amplifier, mixer and CD player, a dynamic microphone, and all associated cables and connectors to form a complete PA solution.Both campuses received Technomad Turnkey PA systems for various outdoor and indoor venues.Saint Martin’s University is sharing the signal processing rack between three venues, transporting it between a baseball field and fast-pitch softball field. 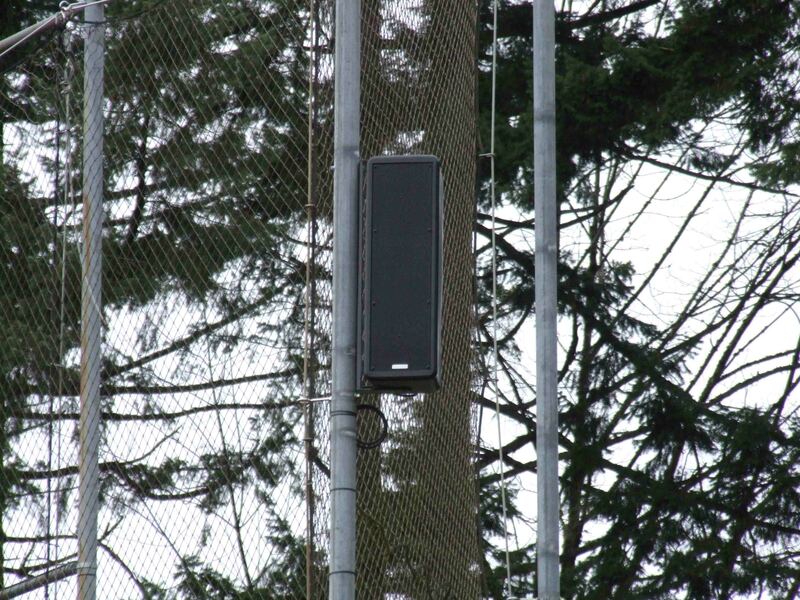 Abbott installed seven Technomad Paris 616 loudspeakers between the two fields: four for baseball, and three for fast-pitch softball.He installed the loudspeakers behind the backstops and along the first and third base lines to ensure clear coverage to all areas.Technomad’s new loudspeaker yokes were used to hang and support the loudspeakers, providing plenty of flexibility to shield the loudspeakers from line drives and position them for the best possible audio directivity.Abbott ran wiring to a lockable, vandal-proof box by the scorekeeping booth, where an operator can plug in and turn on the system for immediate operation. Kalama High School purchased two fixed Turnkey PA systems for its multi-purpose outdoor stadium and gymnasium, where basketball and volleyball games and school concerts are held.According to Abbott, the multi-purpose outdoor stadium for football, soccer and track previously relied on a horn system that provided poor sound quality and fell into disrepair.Abbott installed four Nohos on the back rafters and wired the system so that the Turnkey PA rack is simply connected to pre-configured cable runs that descend through the press box ceiling.The result is a reliable, plug-and-play installation. 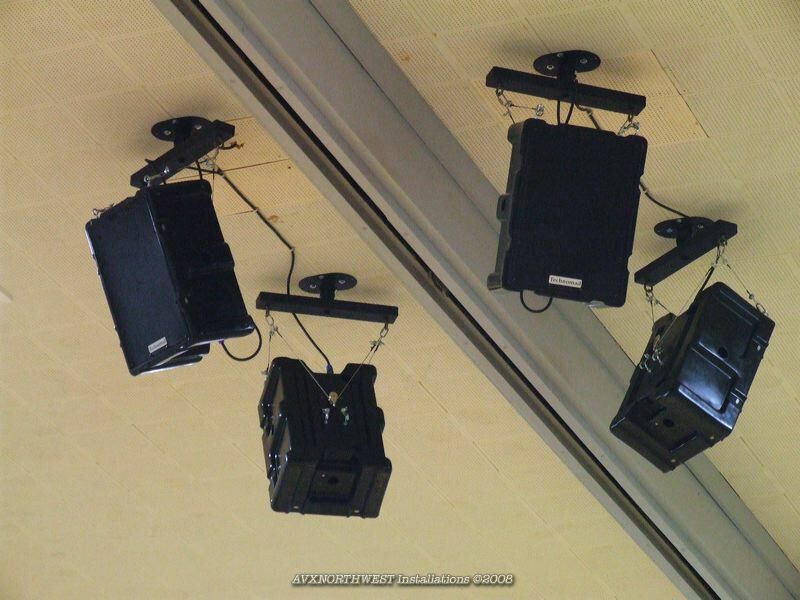 Close-up of a Technomad Paris 616 installed in the baseball stadium at Saint Martin’s University. The university shares a Technomad Turnkey PA signal processing rack between the baseball and softball fields. Abbott added that the weatherproof aspect is highly important to withstand the consistent rain and dampness of the Pacific Northwest region, and the occasional weather-related curve ball.“This winter, we have had record amounts of snowfall,” he said.“To have a loudspeaker I don’t have to worry about out in the elements says it all.